Brinks Home Security systems has its roots in Chicago, many years ago. In 1859, Perry Brink founded the Chicago City Express Company. The Brinks firm delivered packages by horse drawn wagon, and soon developed a reputation for dependability and security. Brinks made its first delivery for a bank in 1891, and in time the Brinks company name came to be known for secure transportation and trustworthiness. 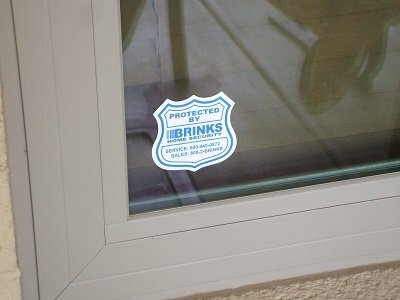 Brinks Home Security was formed in 1983, and gained a reputation for high quality home security services at reasonable prices. After dominating the home security systems market for over two decades, Brinks took on the name “Broadview Security” in 2009. On May 12, 2010, Broadview security was acquired by Tyco International and rolled into their main home security brand, ADT. 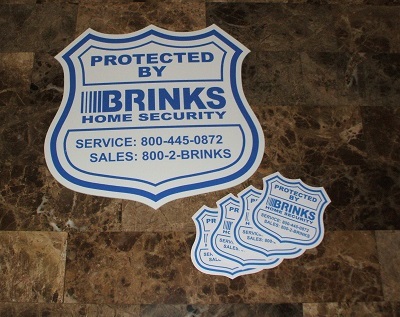 In June of 2018, MONI Smart Security acquired the branding rights for the "Brinks" name, and is now operating as Brinks Home Security. 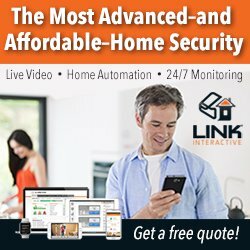 Click here if you're looking for information on the NEW Brinks Home Security systems. 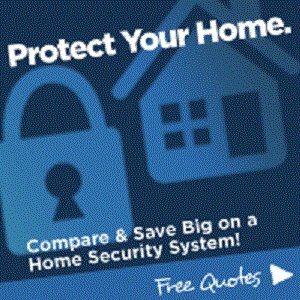 This article is intended to help those who already have Brinks home security systems in their homes, and who may need to program or repair the system. Brinks Security Systems - When to Hold'em, When to Fold'em. 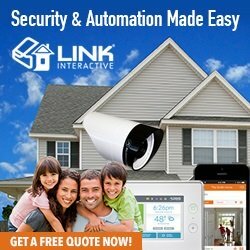 If you're looking for a new system, a good place to start is by getting a few free alarm system quotes. If you’re a do-it-yourself type of person looking for an inexpensive alarm system, check out the options with DIY home security systems. If you need a manual for your Brinks/Broadview system, visit AlarmsBC.com. Brinks security systems use one of several different models of panels and keypads listed below. These systems are still available through various on-line outlets like eBay and Amazon, but you may have to search around to find what you need. If you have one of these Brinks home security systems and are still using it, good for you! As long as you keep up with alarm system battery changes, these alarms can continue operating for many years. However, if your Brinks system is several years old, you’ll eventually find some problems cropping up as the equipment ages. Alarm system keypads are often the first things to go, as they see the most use on a daily basis. If your arm/disarm code occasionally doesn’t seem to “take”, then a worn out button is the most likely cause. If one or more keypad buttons has stopped registering keystrokes, there are a couple of band-aid fixes you can try. The first solution is to simply change your code to include previously unused digits. This is very low-tech, but it works! The second option is to swap the troublesome keypad with another less-used keypad, if you have more than one. The most-used keypad in most homes is near the garage entry door. If you have another keypad in the master bedroom or near the front door, you can swap it over to the garage location. Both of these fixes will buy you more time for your Brinks system, possibly several years. Be aware that a previous owner of the home may have already tried one or both of these clever little tricks. If so, you may still have problems entering codes successfully. If this is the case, you’ll either need to find a Brinks brand direct replacement keypad, or look at replacing the system entirely. (More on this below). Re-programming arm/disarm codes for most Brinks security systems is quick and simple, provided you have a copy of the manual and a valid master code. If you don't know the master code, your choices are limited. Brinks systems can't be defaulted to recover the factory code like most newer systems, so if you don't have the master code you're out of luck. Your only options are to sign up for monitoring through ADT, or replace the system. Most Brinks panels use a “Program” command button, along with a Master Code to authorize the programming sequence. Then, a digit or two are needed to specify which user code you want to change, followed by the actual code digits themselves. “Program” + (Master Code) + 1-2 + (Desired 4-digit code). Most Brinks systems will use a master code and several secondary codes. The master is used to change the secondary codes, as well as itself. You can download a copy of the manual for your Brinks alarm system at the link below. These are in PDF form, so they’re easily viewable on almost any computer. Brinks Home Security System Manuals. If you find that your Brinks alarm system is just plain worn out, you’ll need to look at replacing it. The good news? You may be able to re-use the door and window switches, motion detectors, and sirens from the old Brinks system with a new panel and keypads. 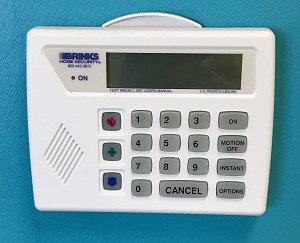 Brinks security systems use hardwired devices almost exclusively, and hardwired items tend to be interchangeable between most makes of alarm panel. For example, the hardwired door and window contacts from the old Brinks alarm will work with even the lowest price alarms that use wired zone inputs. Motion detectors are very generic 4-wire devices, using two wires for 12-volt DC power and two more for the loop connection. Sirens are either simple speakers, or the self-driven type using a speaker with a built-in audio generating circuit. Many newer security panels have outputs for both types, so you may be covered there. Keypads are proprietary, and will work only with the main alarm panel they were designed for. To find out how much it would cost to replace your old Brinks system, just fill out the form below. 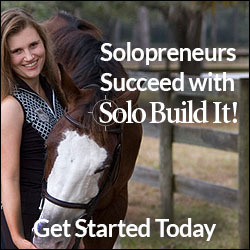 You'll receive estimates by email, with no obligation to buy anything. There is no obligation to buy, and no credit card information is requested. Click here to learn more new Brinks Home Security Systems.